Fender Mender has a truly vast selection of Tools, Equipment and Supplies. If you are looking for something there is a very high likelihood that we have it in-stock - right down to the repair parts for your tool. 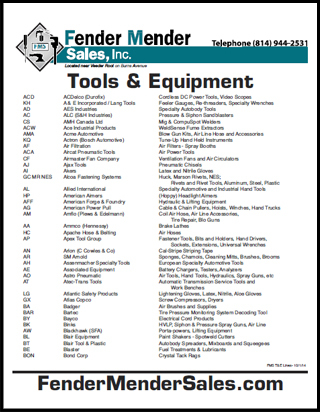 Clicking on the document thumbnail on the left will give you access to a 7-page document listing the product lines we have available.